The jury's still out on how much fix-up is cheating, but if the cover is rare and excites the blood of the philatelist, there are no limits to the fixing up. If you can go back to the original item you will find a messy and torn cover, that only through painstaking paper restoration has come to be the showpiece it is today. So if you've ever wondered how some of those ancient covers can look so good at auction or in an exhibit, think of them as aging celebrities: they've had a lot of work done. For we mere mortals, there are fixes to be made to our stamps, including washing with mild detergent; the use of a stamp press to get out creases (while gone to the naked eye, there will always be evidence of the crease under magnification and an expert's investigation); adding pieces from a similar stamp to missing spots on your stamp, (it almost never looks less than obvious). Things frowned upon by the hobby are bleaching out cancels to make the stamp unused; regumming the stamp; reperfing a straight edged stamp. 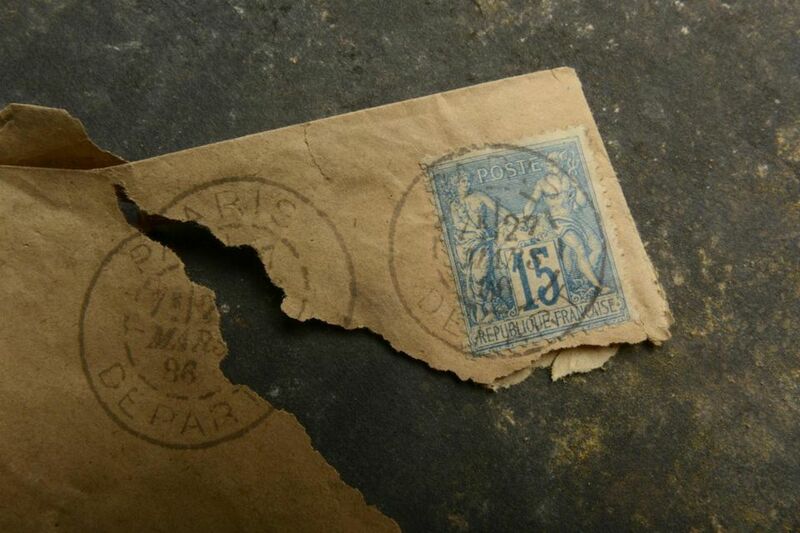 A private collector may go to some trouble to fix up his stamps and covers, even though the item isn't - and will never be - worth more than a minimal amount. It is when these fix-ups occur on stamps of greater value that alarms should go off. The most often reperfed and regummed stamps are the classic U.S. issues. High values of any of the early commemorative sets like the Columbians, the Pan Ams, the Trans-Mississippis are particularly ripe for such treatment. Regumming has become more prominent, though still underground, due to the great premium applied to classic stamps that are unhinged. Hinging was the rule, the accepted practice when these stamps came out - there were no plastic mounts or hingeless albums to protect the back of the stamp. Condition concerns have changed over the years. It is amusing (and horrifying) to think that at one time sellers would literally pin stamps to boards for display and sale. If it seems like there are more classic U.S. stamps around with perfect unhinged backs than ever it is because there are. While for us the collecting of postage stamps is a pleasurable pastime, for others it is a money making opportunity. As expertising of stamps becomes less expensive and with a faster turnaround than that of years ago, it pays the stamp collector who cares that his stamps are genuine and untampered with to get a clean bill of health on them before part of his philatelic budget is ill-spent on a questionable stamp. Some old time stamp dealers used to tie large numbers of similar stamps together with string, creating a bundle of a couple hundred. Granted these were always the most common stamps, but still, anyone using that method today would certainly be taken to task for the activity. One condition killer in the cover world is proper storage for non-traditional size covers. In Europe, collectors have little trouble with larger covers, like Monarch size, because they have been traditionally collected there. But in the states, the common cover size is #6 envelope and many have boxes to store just them. When a larger items comes along for a dealer or collector, all bets are off. Hence the great number of covers with curled edges and bumped corners that didn't fit properly in available storage media. There are also those who look upon the larger philatelic real estate of a cover and decide that all that white space is just crying out for notations; a good soft eraser can save the cover. Otherwise, wait to find a cleaner copy if you can and perhaps offer a curt word or two to the one who practices cover abuse.